Every time entering the new year, I always try to make resolutions. The goal is to prepare to do everything better than last year. Some resolutions made are personal, and others are special to improve the quality of my trading in the new year. These resolutions help me a lot in improving my trading skills, at least reminding me to trade carefully. Each person's resolutions should vary, according to their own individual needs. But in general there may be the same. Below, I've written some resolutions that will help you to improve trading quality until the end of the year. To anyone trading in markets, it’s advisable to have a strategy to enter and exit the market. Just ‘guessing’ isn’t likely going to work out too well in the long run for anyone trading in markets. Having a trading strategy can be extremely helpful. What is trading strategy? What is the purpose of a trading strategy? What elements needed to develop a trading strategy? How do we create a trading strategy? All questions answered in this article. Becoming a successful trader is not an easy task. Many people want to be successful trader, but forget that being a successful trader is a long and full of hard work process. There are several steps that a trader must get through before becoming a successful trader. Read this article to find out 5 steps to becoming a successful trader. 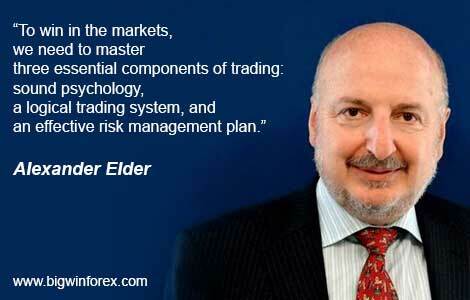 Do You Have a Trading System?